My Dad and I used to do a lot of yard work while I was growing up. I didn’t mind it back then and I actually enjoy it now. 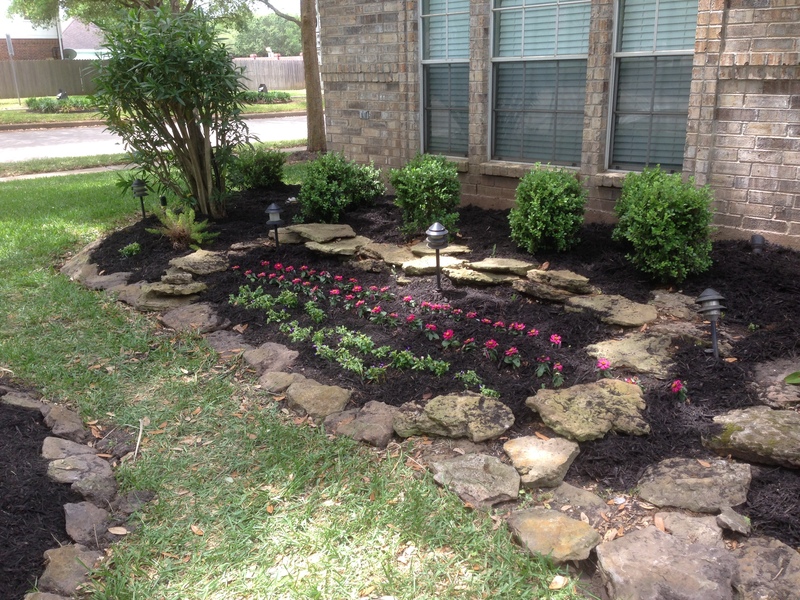 I think because of seeing my parents do all of the yard upkeep makes me want to do the same for my house as well (rather than hiring someone to take care of it). It’s a good reason to get outside and be active. 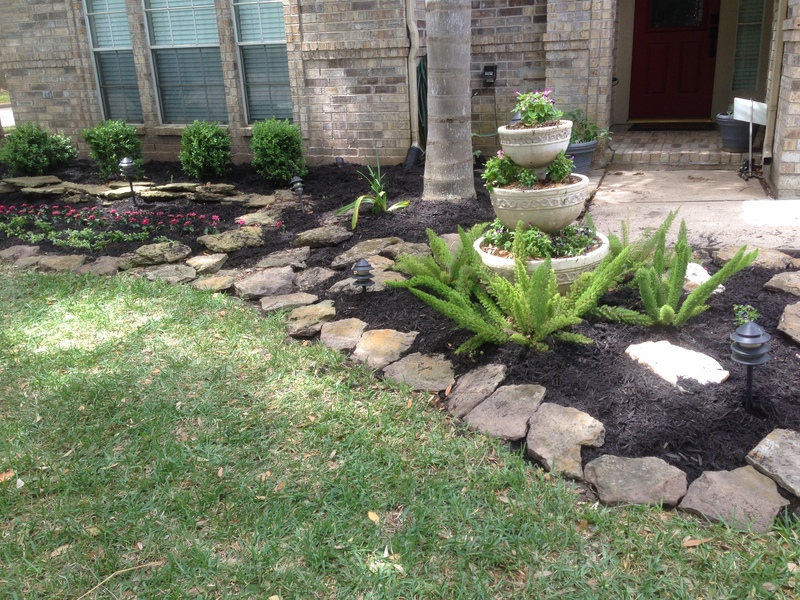 This past Friday, Dad and I mulched both of our houses. It’s relatively easy work. 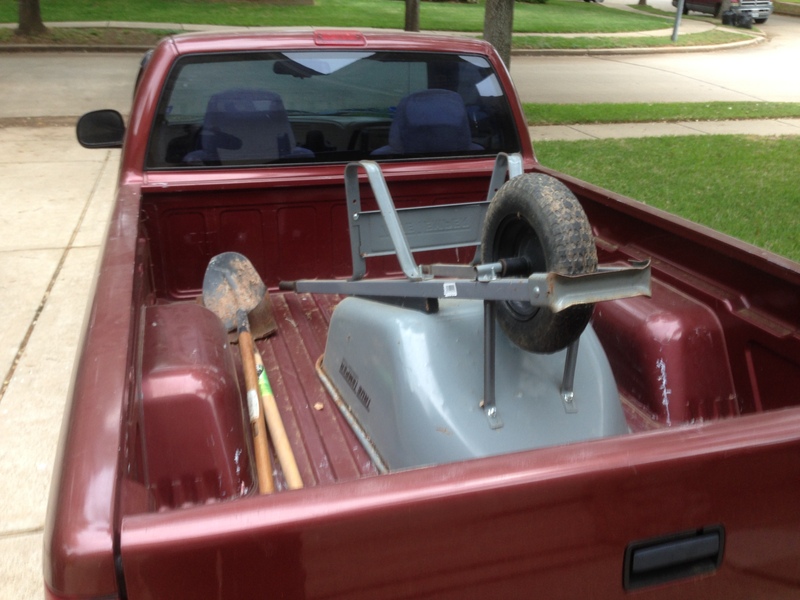 First, you need the tools of the trade… a truck, shovels and a wheelbarrow. 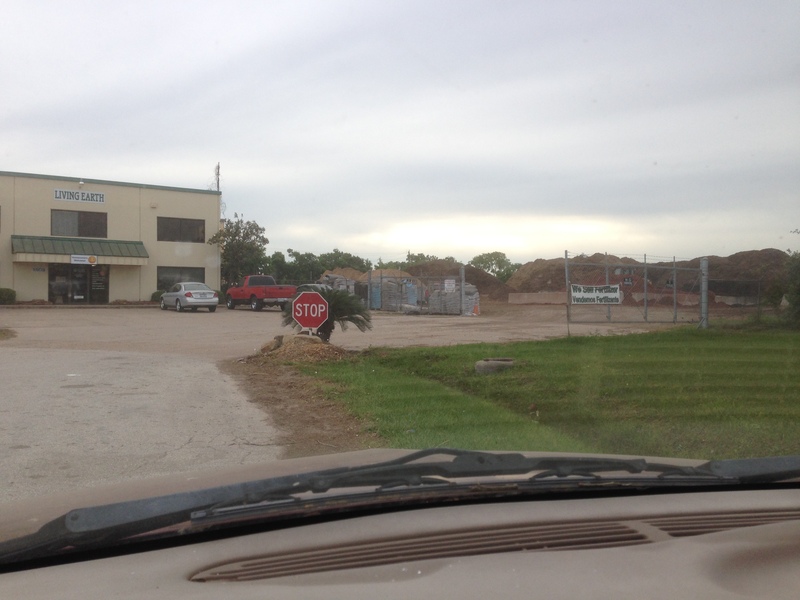 Then I headed to the mulch spot. 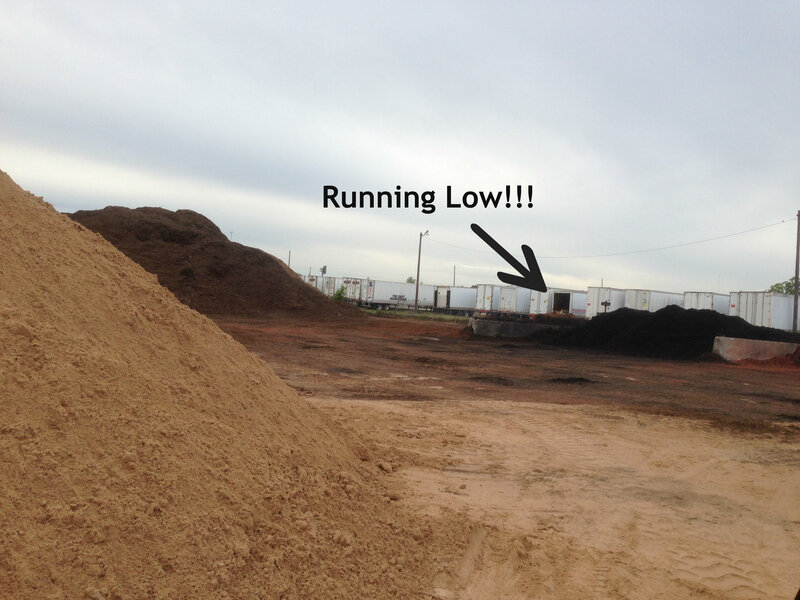 Usually I go to a spot right off of Gessner and Main (in Stafford), but they ran out of black mulch. So I went down the street to Living Earth to get what I needed. Apparently, they were running low as well, but they had enough for me. I was worried that my little truck wouldn’t be able to handle it, but it took it like a champ! 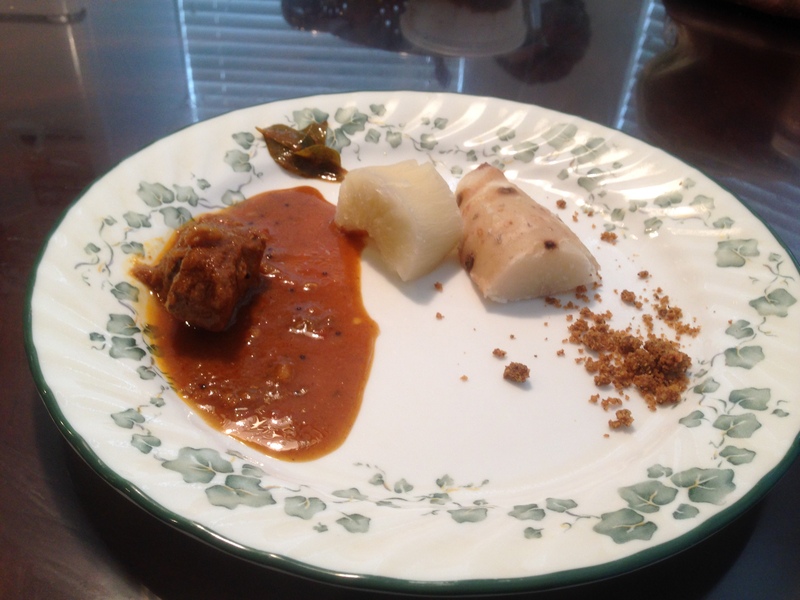 After I brought the mulch to my parent’s house, I was planning to dive into the work, but Mom made a traditional Malayalee breakfast… so that was hard to pass up. Cuppa, chemba and fish curry… Now for the work… here’s a before and after shot of Mom & Dad’s house. Not too hard of a job. Just loading up the wheelbarrow from the truck, dumping it in the spot we wanted and then spreading it around. After we finished Mom & Dad’s house we moved over to mine. 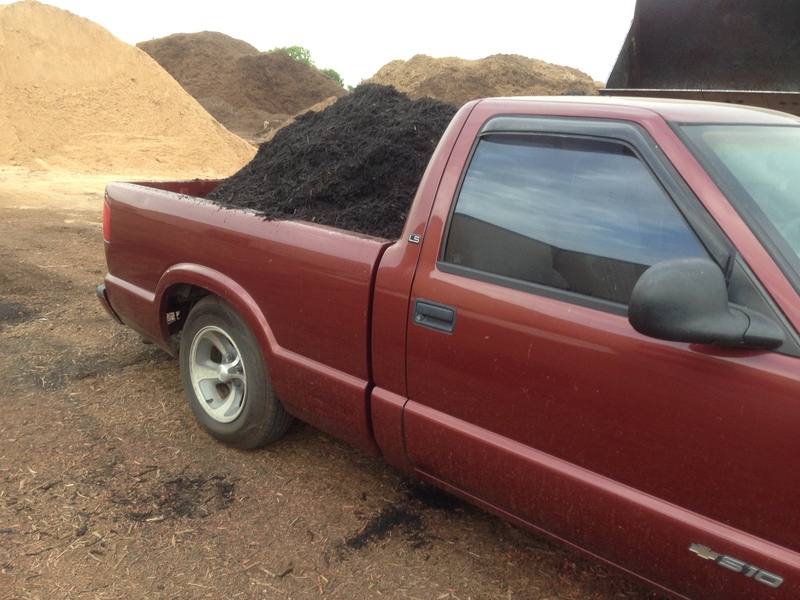 We had to get another load of mulch (1 yard = a truck load). 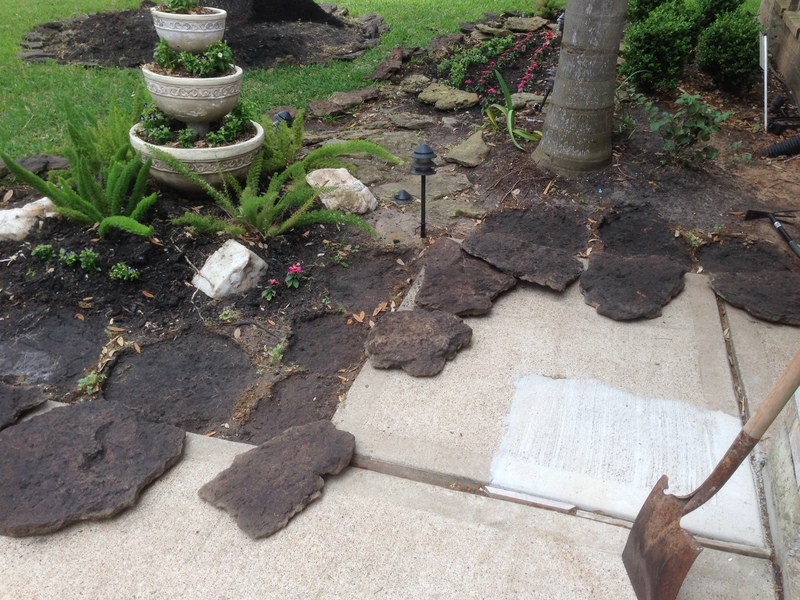 Since my house is older, I needed to do a little more work, such as moving the landscape rocks out of the way. 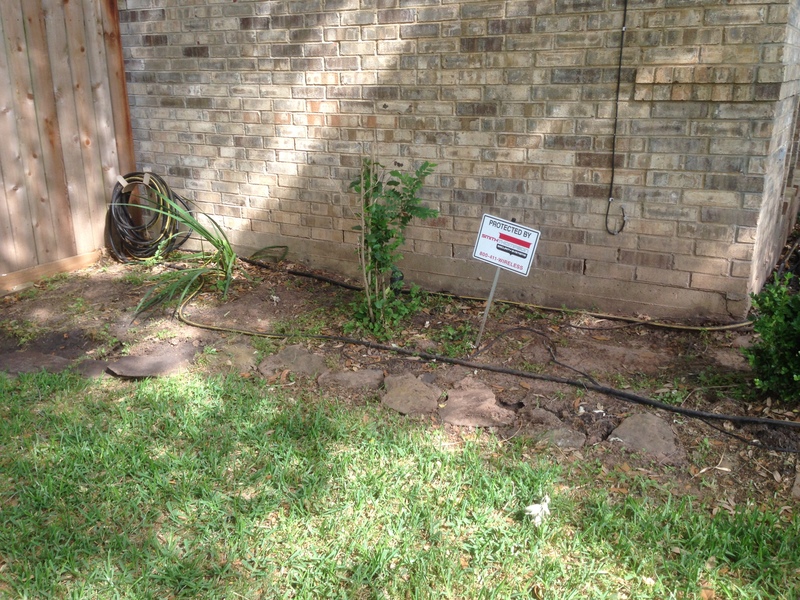 Over the years, those things would just get buried under dirt, so it was good to pull ’em up and re-lay ’em. Here’s a couple of before shots. It’s embarrassing to show how ugly and bare it looked, but ohh well… Here’s my pops working while I was pretending to do something important. Here’s our “load up the wheelbarrow” set up. After shoveling all of the mulch, here’s a few after shots: After all of the work was done, I dropped Dad back off and home and Mom had a Malu lunch ready for us! 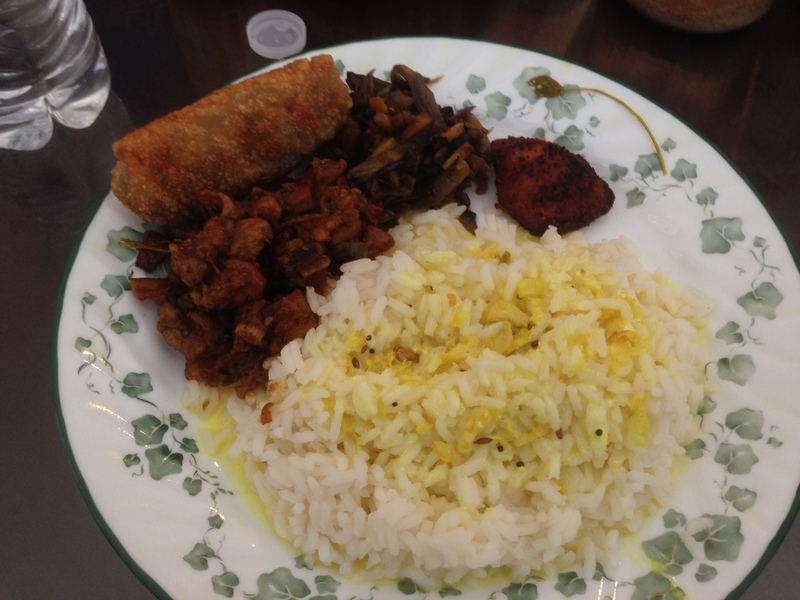 Chore (rice), yellow morre, chicken curry, fried fish, mushroom thoran and an eggroll. There were other sides, but that’s all that’s pictured below. It’s been a long time since I’ve had Mom’s Indian food, so having it for breakfast and lunch was a nice treat! On top of getting both houses mulched, it was great to simply spend time with Mom & Dad. 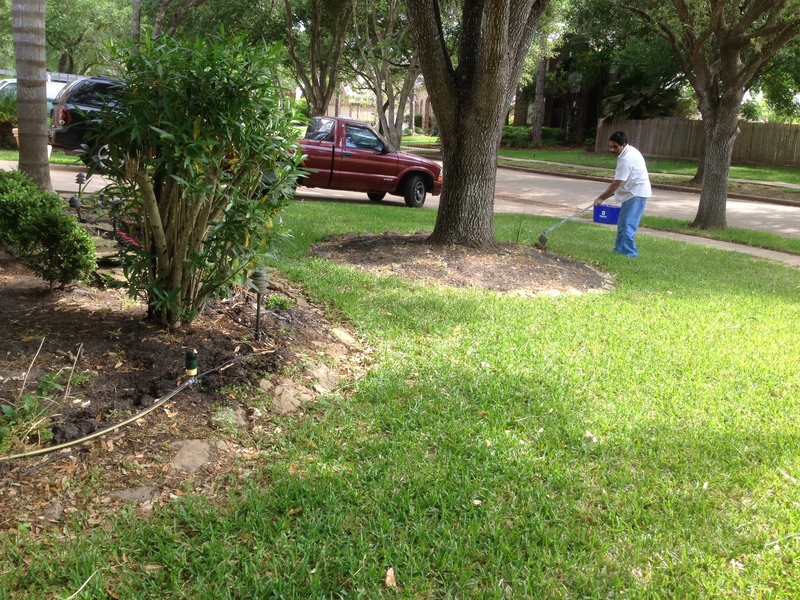 It was like a flashback to when I was younger and living at their house, doing the yard work like old times. Back then it was just a chore, but now I look back and realize that it was something we all bonded over. Funny how that works out. For those that are interested in numbers. 1 yard of mulch took care of my entire front yard. After taxes it cost $31 for the mulch. It took about 2hrs to get my front yard done. If you’re looking into doing this project, DO IT! 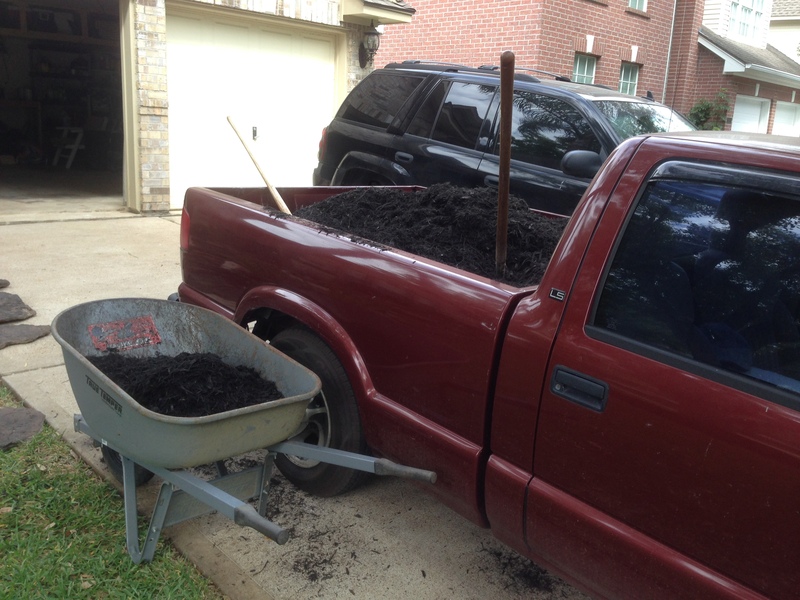 It’s very easy and waaaaaaay cheaper than buying multiple bags of mulch (if you have access to a truck) or having a landscaper do it for you. 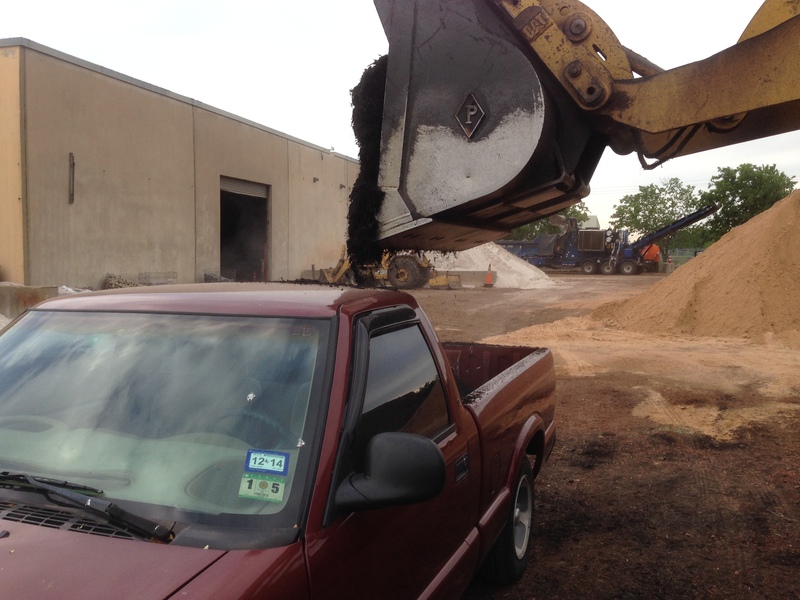 1) Your blog of when you got the truck it said if anyone needs to use the truck there will be a charge. Did you charge your dad? 2) How did an egg roll get in the mix of a malu lunch with chore, yellow morre, chicken curry, fried fish and mushroom thoran? 1) I charged Dad, but then he reminded me that he bought me my first car. 2) An egg roll was a part of my malu lunch growing up… Is that not common? Sajan – Love reading your blogs. 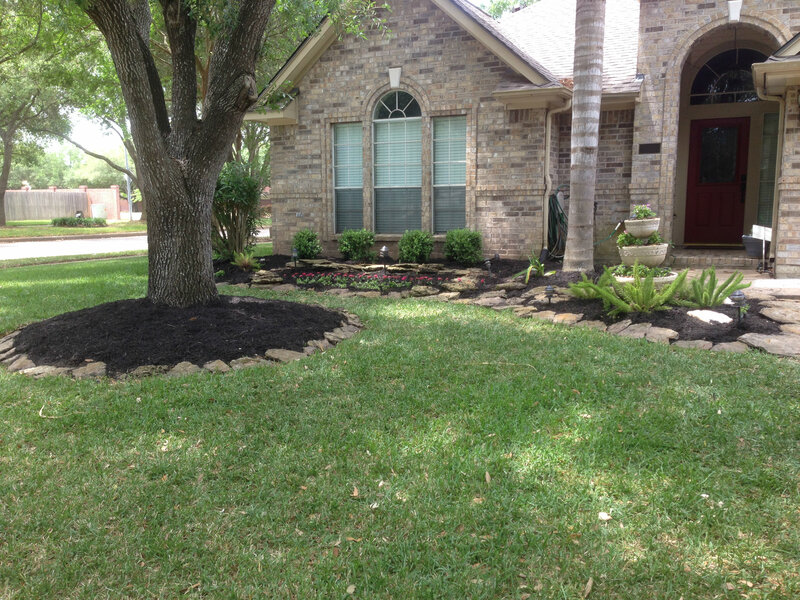 I need gardening tips from you for my lawn! Thanks Grace! Sheena and I enjoy gardening, but we’re really horrible at it! So if you need tips on killing plants or not watering your lawn in a timely manner, hit me up!